Outdoor Business Pioneer Yvon Chouinard, Part 1 The Patagonia company is a pioneer in outdoor clothing design and "alternative" corporate culture — the legacy of founder Yvon Chouinard. In the first of a two-part profile of the pioneering businessman, Chouinard discusses his offbeat business philosophy. It's all detailed in Chouinard's new book, Let My People Go Surfing. The Patagonia company is a pioneer in outdoor clothing design and "alternative" corporate culture -- the legacy of founder Yvon Chouinard. In the first of a two-part profile of the pioneering businessman, Chouinard discusses his offbeat business philosophy. 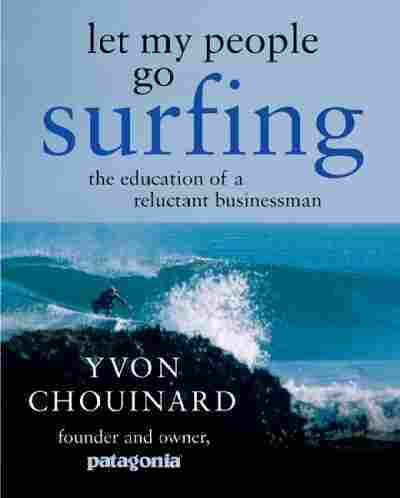 It's all detailed in Chouinard's new book, Let My People Go Surfing: The Education of a Reluctant Businessman. Alex Chadwick tours the grounds of Patagonia's headquarters in Ventura, Calif., where Chouinard encourages his employees to travel, surf and work for environmental causes.